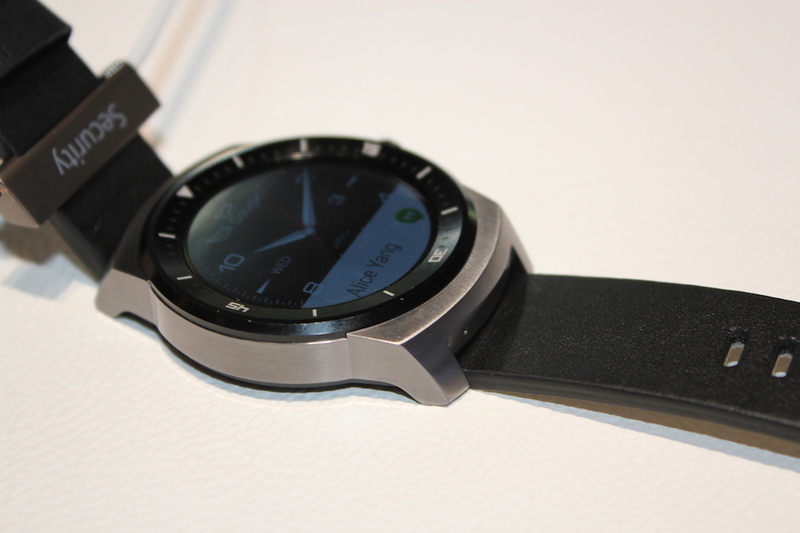 How will anyone know you're an early adopter when your LG G Watch R looks like a real watch? 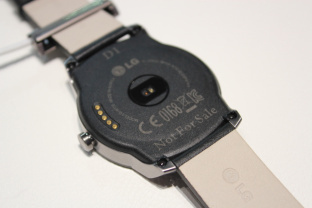 This is the very serious problem that anyone buying LG's latest Android Wear smartwatch will soon face. Round face, metal build, leather strap, fake dial. It's not the first circular smartwatch, it was beaten to that crown by the Moto 360, but the G Watch R certainly does the best job of any wearable yet of masquerading as classic wristwear. Throw in the best hardware and battery life we've seen on an Android Wear device and the £225/$250 price tag starts to look good value for money. But is LG's second smartwatch of 2014 the tech timepiece Android users have been waiting for? Read our review to find out. This really does look and feel like a watch. A chunky, fairly inexpensive, small-screened watch, but a watch nonetheless. Rather than copy the sleek, minimalist, futuristic styling of the Moto 360, LG's gone sportier with the G Watch R, imitating details from diver's watches more than anything. The crown on the right hand side acts as a power button, the black watch body is metal (apart from the plastic back) and the fake dial, with minute indices and numbers adds to the look of a traditional watch. Stick one of LG's lovely digital watch faces with Withings Activité-style fitness 'chronographs' and the transformation is complete. It's hard to believe that mere months separate this from LG's first bland, square G Watch. The basic leather strap lets it down. It feels much stiffer and cheaper than the Moto 360's leather straps does after the same amount of wearing in so we'd recommend swapping out the band for something with more detail and style. The watch itself isn't customisable at all either, unlike the Moto 360 and Gear Live which are available in different colours and finishes and, of course, the not-yet-launched Apple Watch with its impressive range of size, material and colour options. It's fairly chunky and sporty with big bezels and it's only available in black. So it's no surprise that we doubt the G Watch R will be a hit with women. It's big but not sleek, watch-like, but not refined and the Moto 360 simply looks more unisex, especially the light grey model. Then again, now that smartwatch design has matured slightly, these things will come more down to personal preference. We'd definitely recommend seeing a G Watch R up close as reactions can vary. As for Wareable, we reckon that even though the Moto 360 is a more interesting design, the G Watch R is the best-looking smartwatch around. We mentioned the big bezels as part of our little moan about the overly masculine design. But it's the bezels we have to thank for that fully circular P-OLED display. Unlike the Moto 360, which houses its display drivers in a small strip cutting off the bottom of the screen, the G Watch R is the first completely round smartwatch screen. 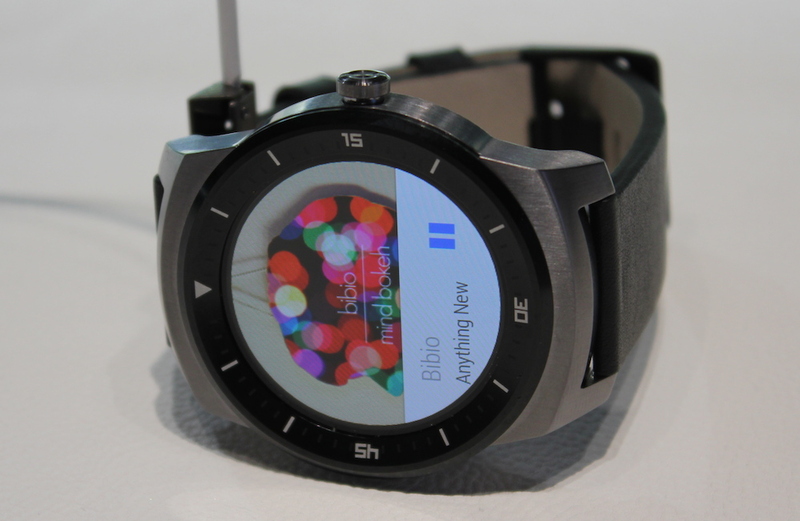 At 1.3 inches, it's slightly smaller than the Motorola's big, modern-looking display and as a result, you may find yourself swiping into the fake dial as you move around Android Wear. But it's crisp to read at 320 x 320 and nice and bright in the low power always-on screen mode - very handy for quick glances outdoors. And seriously, everything looks better on this display. Blacks on the backgrounds of watch faces are deeper (it being an OLED) so it blends in to the metal build seamlessly and colours are more vibrant too. There's no auto brightness and diving into settings is a pain but this is a small sore point on an otherwise terrific smartwatch screen. The screen is a first but the Android Wear experience on the G Watch R is almost identical to the smartwatches we've tested so far. Notifications from your smartphone pop up with small vibrations, Google Now prompts appear with helpful location or calendar information, steps are counted and added to Google Fit and hit-and-miss voice controls join swiping around screens for accessing apps, searches and sending messages. On-watch navigation can be accessed by voice or searching for a location on your smartphone and your Google Calendar agenda will appear each morning. 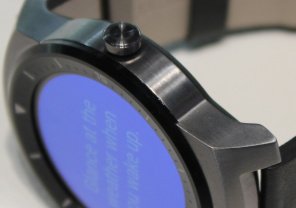 Essential reading: What is Android Wear? At times you will love Android Wear - glancing at the watch to see that it's a boring work email and not an important Facebook message making your phone buzz. At others, you'll hate it - swiping through four sets of bus times just to get a clean watch face, for example, or wishing you could scroll through recent notifications. The recent Android Wear update added support for GPS and onboard music playback. 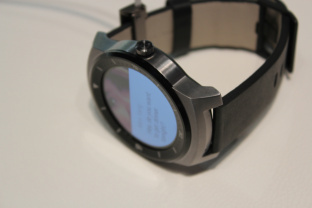 GPS isn't included on the G Watch R but it does have 4GB of storage. We were hoping for more of a software overhaul, though, because Android Wear has the potential to be brilliant but it's not quite there yet. For now it's this or Pebble's basic but not flashy OS that works everytime, but we have a feeling that the Apple Watch might just show Google up when it arrives in early 2015. 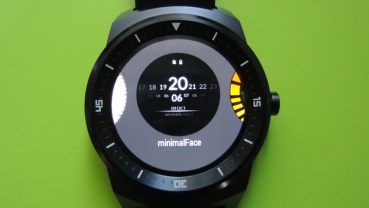 Everything runs very nicely on the G Watch R, with a 1.2GHz quad core Snapdragon 400 processor and 512MB of RAM inside, and the Bluetooth connection with our Android device was nice and robust. 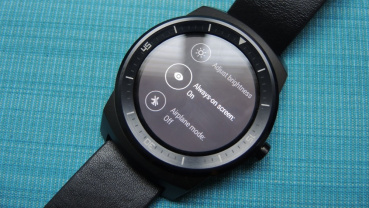 It can run third party Android Wear apps, of course, and like the Moto 360 some text will cut off due to the circular screen and lack of optimisation just yet. But we say it's a small price to pay for that incredible round display. 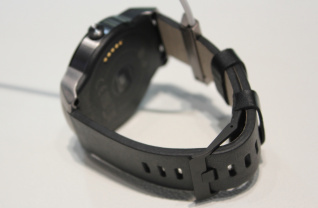 There's also a heart rate monitor which is as accurate as rivals, though not enough to be used as a medical device. It's also only for one-off readings whereas the Moto 360 provides good-looking graphics of your heart activity across the week. Like we said, the G Watch R isn't about extra functionality, like the Sony SmartWatch 3, it's about superior form. 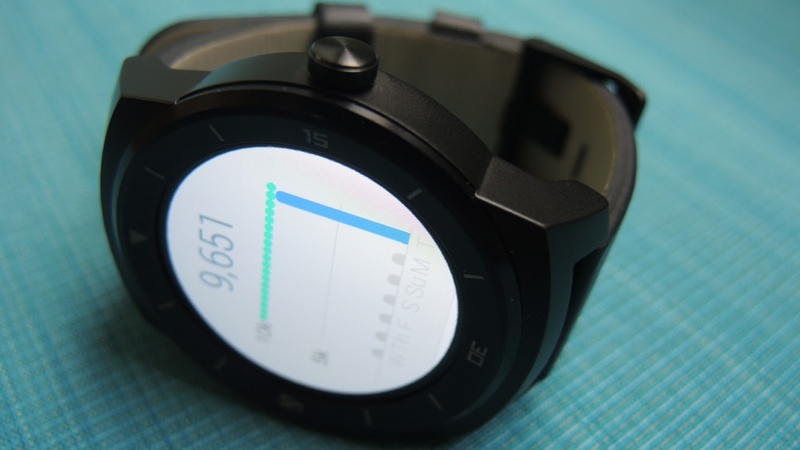 In many ways, the G Watch R is the best bit of kit for showing off Android Wear. Not only is the screen brilliant and the performance smooth but with a better battery life than rivals like the Moto 360 and the Samsung Gear Live, you get more hours in the day to interact with it. With a big (for a smartwatch) 410mAh battery, the G Watch R easily makes it through a standard working day with juice to spare. That's in Android Wear's always-on screen mode with the brightness set around halfway. With light use or the always-on mode switched off, this becomes more like a day and a half's worth of use. So there's still plenty of mid-week charging to be done unlike say, the Pebble Steel. But this is not a smartwatch you'll be wearing with a blank screen halfway through after work drinks. Charging is taken care of by one of those ugly cradles that Samsung and LG are trying to force us into accepting. No, just no. It's fairly easy to set up: just set the G Watch R down to match up the pins and stick a microUSB cable into the dock. Still, this will never become a nightly ritual in the same way that setting down a Moto 360 in its lovely wireless charging dock does. And the G Watch R is chunky enough that we can't help thinking LG, like Sony, should have just included a Micro USB port to save us the hassle. 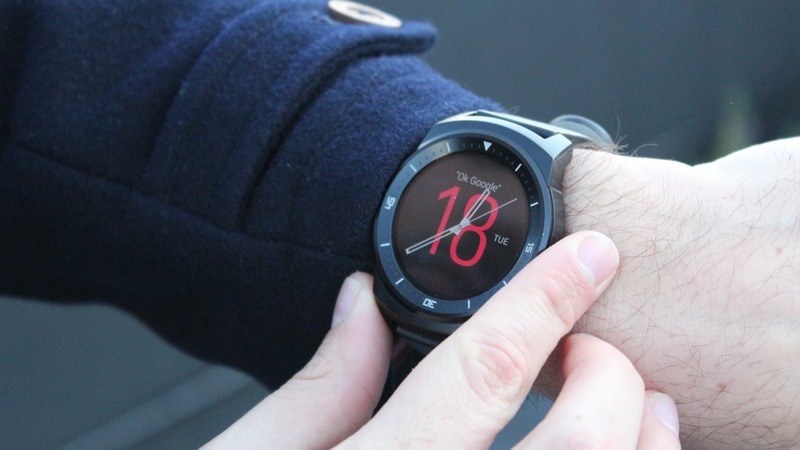 At around £220 - £225, the G Watch R is placed firmly at the pricey end of Android Wear. And so it should be. If its sports watch looks appeal to you then let's face it, you're probably a man with wrists that won't look swamped by the admittedly chunky build. The Moto 360 comes in cheaper for the leather banded model but once you start considering the fully stainless steel options and adding in extra watchbands, the two round smartwatches are a similar investment. 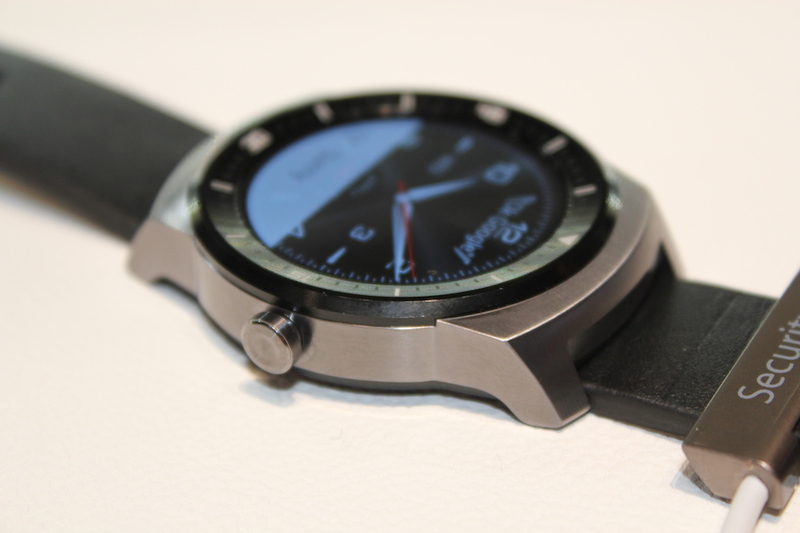 The G Watch R officially goes on sale later this month. It's worth noting that if you prize being frugal over being fashionable, LG's first Wear device the G Watch is a bit of a bargain now at £140 or less. The LG G Watch R outperforms the brilliant Moto 360 in almost every way. The screen is the best we've seen on a 2014 smartwatch, the battery life doesn't come close to the Pebble but beats its Android Wear rivals. Even the watch faces are awesome and we don't take watch face criticism lightly. Chances are you won't get as attached to the G Watch R as you might to the lovingly crafted, iconic Moto 360. But it does a better job at disguising itself as a regular watch and though it's not the most customisable, the straps at least can be personalised to your taste. We'd love to see LG - or others - take on other styles of traditional watches now as this aesthetic won't be for everyone. 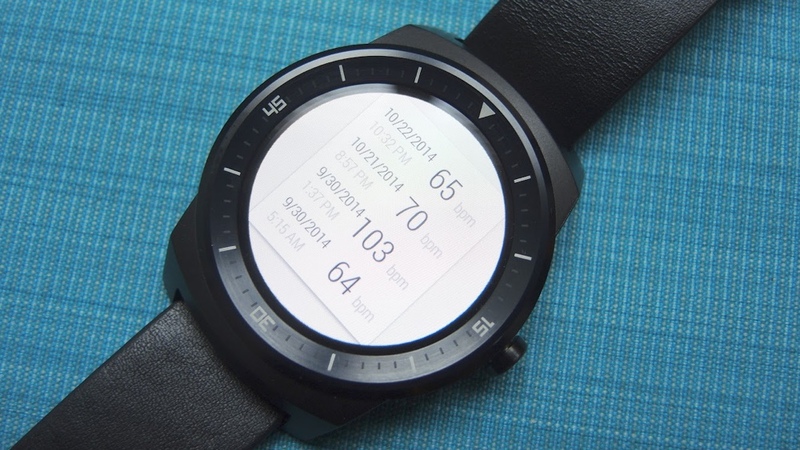 But as the first truly circular smartwatch, the G Watch R doesn't disappoint. Sure, it’s pricey next to the first batch of Android Wear rivals this year. But the difference is this. Here is a smartwatch you’ll actually wear. You’ll forget that it’s on your wrist until it nudges you. The square smartwatches before it were just plain distracting in their sheer gadgetry by comparison. Pricey but boy, is it worth it. The G Watch R combines familiar watch design with excellent hardware and the promising Android Wear OS. This is no head-turner like the Moto 360 but it is a worthy accessory that you’ll wear everyday.